Oil prices have lost about a percent on Wednesday following Saudi Arabia’s record production of 10.3 million barrels a day in March. Brent crude futures for May delivery was down 1.4 percent at $58.27 a barrel at 13:00 MSK and US WTI May crude slid 1.22 percent to $52.76 a barrel. Saudi Arabia increased oil production in March to the highest in at least 12 years at 10.3 million barrels per day (bpd), Saudi oil minister Ali al-Naimi told reporters at a conference in Riyadh on Tuesday. The March output would eclipse the peak of 10.2 million bpd in August 2013, the minister said, adding that output would likely remain around 10 million bpd. Naimi didn’t specify why production had increased last month but experts say that Saudi Arabia’s record increase was due to strong demand from foreign refiners. 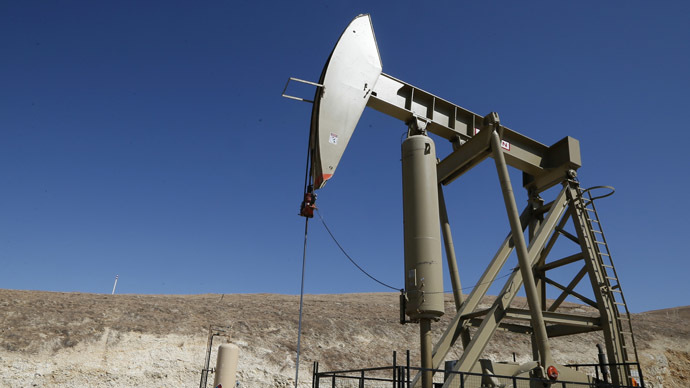 “While April and May could see a small pullback, overall it is clear that Saudi Arabia has reacted to stronger demand for their crude, despite being in an oversupplied market,” the Energy Aspects chief analyst, Amrita Sen told the Guardian. On Tuesday, Saudi Arabia, which produces more than 10 percent of the world’s crude, increased prices for Asian customers due to strong demand. State-owned Saudi Aramco reduced the discount on its Arab Light blend heading to Asia by 60 cents per barrel for May, a 30 cent increase from April. Crude prices then increased more than 3 percent. Last month, Saudi Arabia made a record oil discount for Asia, cutting March prices by 90 cents which was regarded by experts as part of the country’s fight for global market share. Naimi said the kingdom was ready to “improve” prices if other countries outside the Organization of Petroleum Exporting Countries (OPEC) joined the effort. However, Saudi Arabia and other OPEC members have refused to cut production to shore up falling prices. “Prices will improve in the near future. The challenge is to restore the supply-demand balance and reach price stability. This requires the cooperation of non-OPEC major producers, just as it did in the 1998-99 crisis,” oil minister Naimi was quoted as saying by Bloomberg. Falling demand for oil became one of the factors posing risk to Saudi Arabia’s leading position in the oil market. The Saudi government is more interested in keeping market share rather than cutting production to increase prices. The policy contributed to the current oversupply, which in turn led to a steep fall in oil prices that have lost more than 50 percent since summer 2014.